It's never easy to be a questionably-legal music streaming service on the internet. Grooveshark has had trouble with submitting an Android app in the past. A couple days ago, we thought the company had ironed out its problems with Google's ToS when it reappeared on the Play Store. Not so, it seems, as the app has now been pulled yet again. We haven't heard exactly why the app has been pulled this time around. 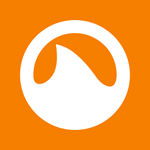 No official word has been posted to Grooveshark's blog yet. Though, it wouldn't be hard to imagine the reason why. Grooveshark has always operated in a bit of a legal gray area. If Google viewed the company as doing business in the same murky legal waters as it was the last time it showed up on the Store, the app's disappearance wouldn't be surprising. Hopefully, we'll hear more but for now, life continues on much as it has this past age. Where "this past age" is "prior to three days ago."